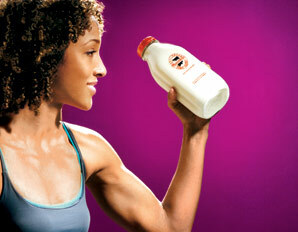 What’s better for Muscle Recovery – Milk or Sports Drinks? So I know most people try sports drinks because they are high in electrolytes but studies have actually shown that milk is better for muscle recovery. Electrolytes are great however for nutrient replenishment. One thing to keep in mind here when choosing a sports drink is to avoid any with artificial sweeteners such as splenda or nutrisweet because these are linked to cause nerve damage in the body. I read an article over here to check out about the study linked between milk and sports drinks with muscle recovery. To be completely forthright, I personally don’t think either is super great for you. Why’s this? Because milk is homogenized and pasteurized and thus loses all it’s value as an organic product. Enzymes are then lost and critical amino acids your body needs are not being consumed. On the counter side of things, Gatorade and other sports drinks are super high in sodium which is extremely harmful for your body. Sodium also is a main source of weight gain as well. If you were to ask me to recommend a replacement then for muscle recovery, I will tell you the same two things every single time. The first is coconut water. This has been growing and gaining tremendous notoriety in the health community because it is linked to so many things your body needs to function. Just watch any survivor show on discovery channel or the travel channel and when stranded on a island one of the first sources of protein, electrolytes, and food is coconuts. So other than coconut water the other is whey protein powder. I recently wrote an article over here on why this is so crucial for your body to have organic whey protein powder. Check it out right now to see why it’s so important for you to take some action with your health.